Quality is the last buzz-world. To survive and to remain in the main stream, one can not escape and adopt the short - cut to achieve quality. Although answer lies in the garden. Still there are several hiccups in the factory but good. Tea processing machines takes the charge & plays important role. To Produce 'Quality' mark Tea one has to have state of art Tea processing Machines. 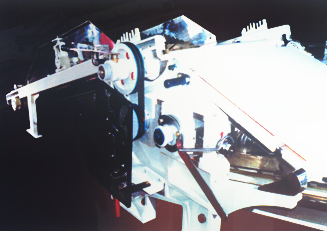 Zemith through its continuous process of R & D & protracted trial runs all the practical aspects including minor areas which go unseen and could cause disastrous results, have come out with the ultimate CTC machine - The 'SAMURAI' It is true to its name - 'BADA NAAM - BADA KAAM' and architectured to hassel-free making of quality Tea with Japanese concept of modern & high value technology. 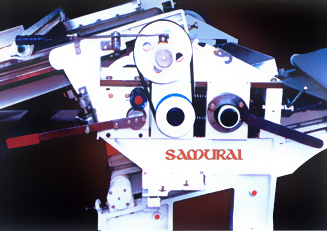 Samurai is the latest, Best & ultimate CTC Machine. Graded vertically grained casting used for pedastals duly re-inforced for higher rigidity & construction for vibration free performance. Simple & Faster. Just on removing the Top pressure plates take out the rollers with vartridges for resharpening. ALMOST 15 HP. per Triplex or HP. per cut reduced. Considerable saving in your electric bill. Drive Positive Drive, Gear Box is fitted with hardebed shafts, gears and Heavy Duty Bearing for longer life & drive Heavy Duty Propeller shafts for instant and no slippage, proppelling of rollers. Bearing life enhanced by encasing bearings in the cage unit. No dislodging of Cage unit while taking to re-sharpening. Very simple and time saver as well. Matching of rollers H.S. & S.S. is vitally important pitch adjustment made simpler for easy matching. Meshing of rollers with Micro-fine tuning of cutting incorporated with simple & error free adjustment feature. After having adjusted Microdial matching on both ends, just synchronise Micro adjustment for cutting with the knob, which is easy to operate. 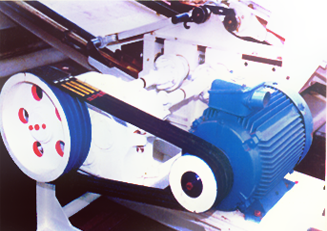 Improved Clutch System Simple & operator friendly clutch system introduced for engaging & disengaging moving of conveyor belts within fraction of a second. More & bigger gaps between roller & conveyor belt allows more air in the cuts. Resulting in Cool!Cool!Chai. Cooling Fan with pipe line connections to each cut is provided for cooling the Teas. System saves damage to rollers. Re-instatement is immediate. Achieves same matching / Meshing. Use of Imported PVC Belts. S.S. angularly & specially designed side guards. Enhanced the hygienic values by not allowing accummulation of Teas in any inaccessible area and thus bacterial menace eliminated. 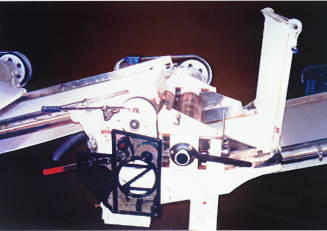 Unlike static covers where cut mal deposits on the covers and thus becomes themother-bed of bacteria, the moving covers with improted PVC belts, Does not allow any deposition or accummulation of Teas. No lump or Ball formation. Wide PVC Conveyor Belts Based on experiance that with 40" wide conveyor belts, fullcutting area of 36" wide rollers can not be used and allows side spillage, viewing this handicap 42" winder imported PVC non-sticky conveyor belts are provided belts which are hygienically safe & have longer life. 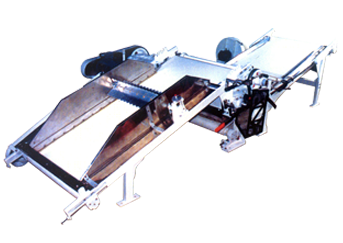 The specially designed side guards, wider conveyor belt, low inclination of Conveyor Belts have made to achieve virtually nil spillage. All the areas where tea comes in touch with, are made of AISI - 304 grade S.S. meterial. The De-Jamming handle, clutch lever, Micro-dial, Micro Mesh arrangement, Ratchet etc. are hard chromed or made of S.S. precisionely engineered with cute looking and painted with ICI's Duco, long lasting paint with silken finish. An eye-catching with aesthatic & lusty look. Only 1400 inclination. Hence no roll-back. More gap for more ambient air in-flow. No lump or ball formation and no depositon of teas on sides.